Dr. Wilmot currently resides in Minnesota where he is conducting research on sentencing in Minnesota. Dr. Keith A. Wilmot was of late an Assistant Professor in the Department of Justice, Law, & Society at California University of Pennsylvania, where he taught courses on criminal courts, criminological theory, and criminal law. He received his Ph.D. and master’s degree in criminal justice from the University of Nebraska at Omaha (UNO). His bachelor’s degree in law enforcement and corrections was also obtained at UNO. Dr. Wilmot’s prior practitioner experience includes a variety of law enforcement, investigative, and intelligence gathering positions. As a university undergraduate student he worked for the Omaha, NE, police department as a Cadet in both the Juvenile Section and Detective Bureau fielding telephone complaints and case processing. While serving in the military, Dr. Wilmot was a Special Agent with U.S. Military Intelligence (Army). He served in Germany where he participated in both offensive and defensive counter-espionage operations. Upon leaving the military, Dr. Wilmot worked as an Investigator for both the Douglas County Public Defender’s office and the Douglas County Attorney’s office (Omaha, NE), where he conducted pre-trial investigations for the public defender and investigated criminal fraud cases for the county attorney. Dr. Wilmot was also a trained and certified law enforcement officer with the State of Iowa where he was employed as a Special Agent with the Iowa Division of Criminal Investigations, Des Moines, IA. As a special agent in Iowa, he served primarily as an undercover agent in both drug investigations and the state’s largest stolen property ‘sting’ operation. 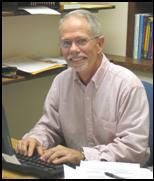 Dr. Wilmot was previously employed at Bemidji State University, MN; the University of North Texas; and most recently, as a visiting professor at Florida Atlantic University. He has also worked as a Research Associate at the Institute of Criminology, University of Cambridge, United Kingdom (UK). While in the UK, he participated in a Home Office research project on ‘sentencing and its outcomes,’ a project which focused on sentencing decisions of youth and adult offenders in the English criminal justice system. Dr. Wilmot’s research interests include courts and legal decision-making, federal and state sentencing systems, the effect of race/ethnicity on sentence outcomes in drug crimes, and constitutional due-process issues. His presentations, publications, and current research reflect these interests. He is also a member and participant of both the American Society of Criminology and the Academy of Criminal Justice Sciences.